EARTH FIRST has begun transforming Balmoral Amenity Village in the master-planned community of Balmoral. Located next to the one-of-a-kind Crystal Lagoon, the Balmoral Amenity Village will be the gateway to a brand new tropical paradise in North Houston and will include a 7,500-Square-Foot Clubhouse, a state of the art fitness center, resort-style pool with Infinity Edge, splash pad, sand volleyball court, and a playground! 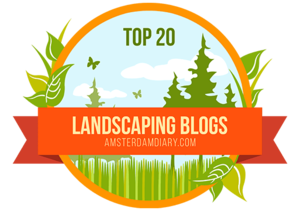 EARTH FIRST is taking this landscaping project to the next level with the goal of transporting its residents to a faraway island paradise! 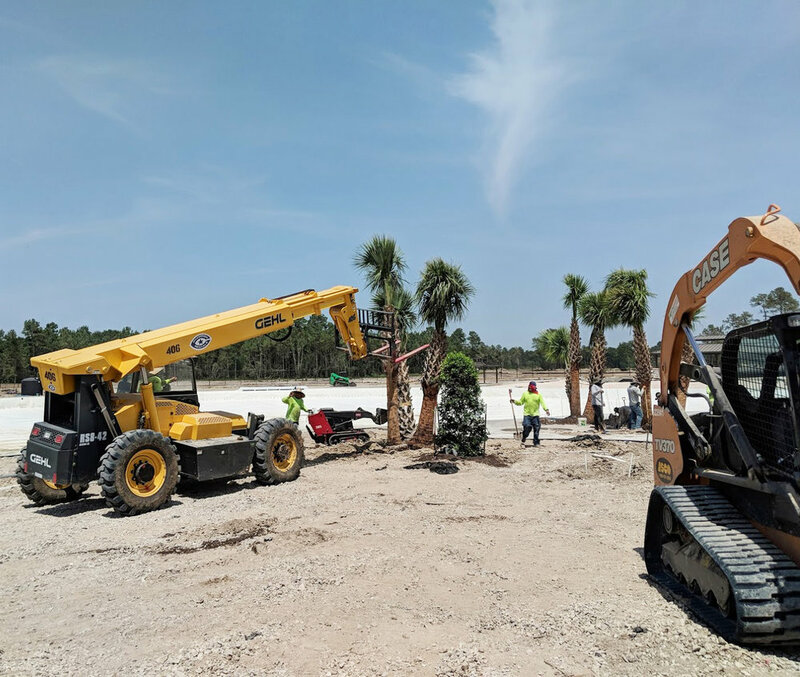 In creating this oasis, EARTH FIRST will be importing and planting hundreds of Palm Trees, many of which are triple trunk specimens from the white sands of Florida. 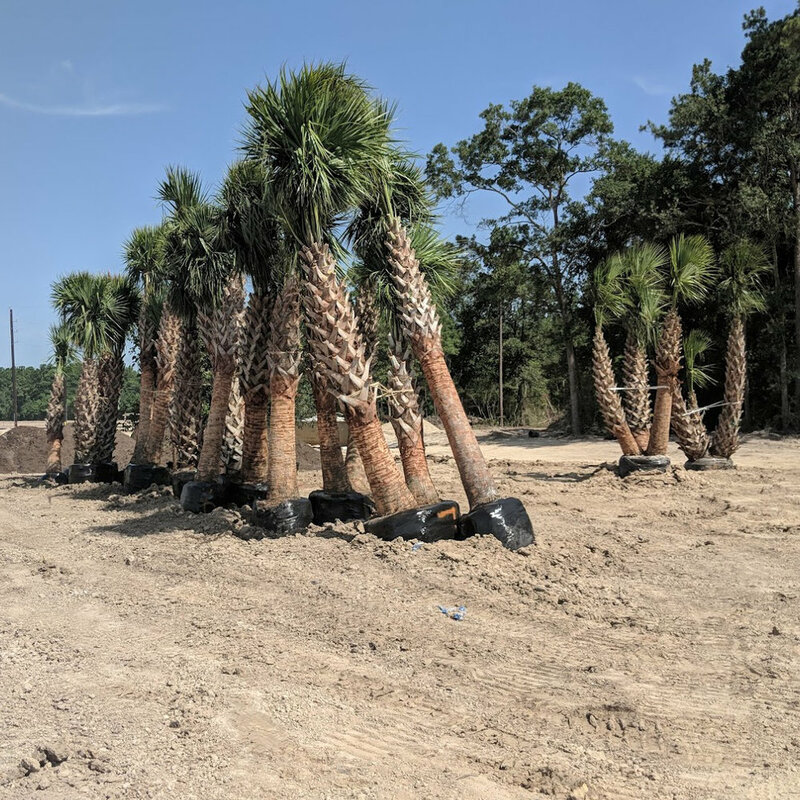 Sabal Palms will grow up to 40 feet tall and provide a perfect beach vibe! Along with the Sabal Palms, EARTH FIRST will be planting an array of Medjool Date Palms and Jelly Palms throughout the property. So get your flip-flops and sunglasses on and have a look at some of our progress shots!